Mumbai (India) - “HS&E Management is part of our DNA. It is not just a set of requirements and guidelines but integral part of our corporate values”. With this message, Jitendra Singh- CEO & Managing Director of Belectric Photovoltaic India Pvt. 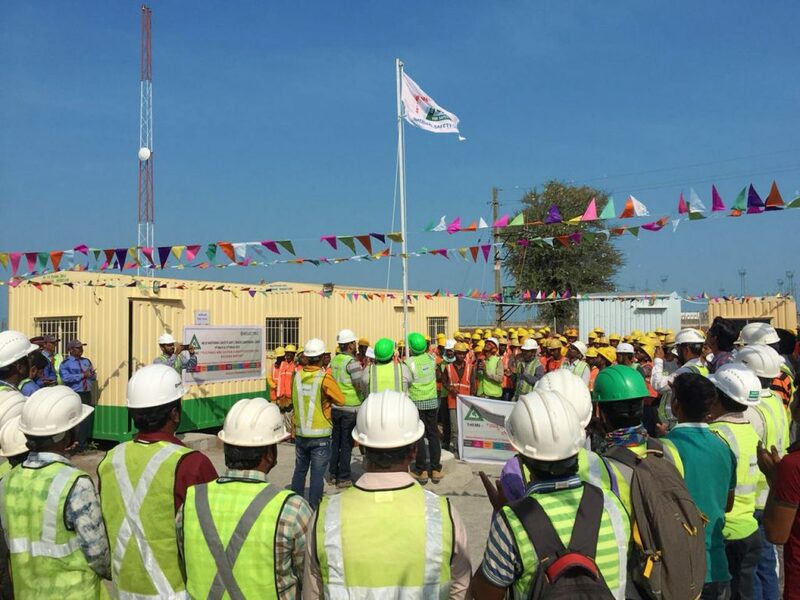 Ltd. communicated the Safety week open to all employees and reminded them of the importance of HS&E for this wonderful company. On the eve of 48th National Safety Day, Belectric Photovoltaic India Private Limited organized a Safety Campaign with active participation & high Level of engagement of all Belectric employees as a part of 48th National Safety Day/ Week Celebration spearheaded by the National Safety Council for commemorating its foundation day which is held on 4th March every year. 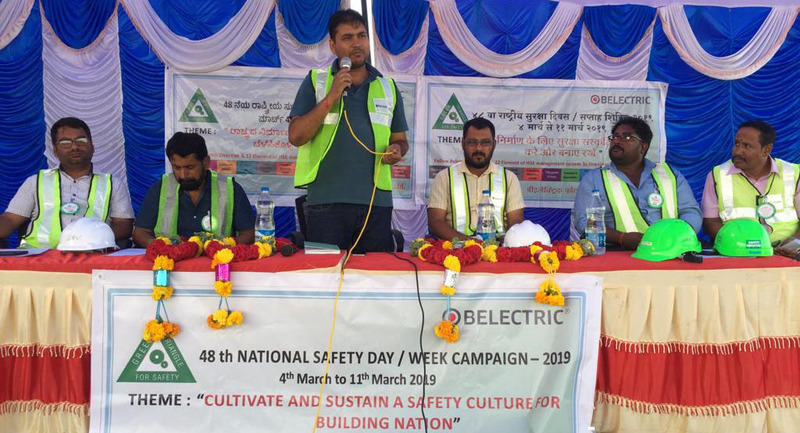 This incidentally was our 2nd year of organizing “Safety Campaign” across Belectric India with the theme “Cultivate and sustain safety culture for building nation”. The Campaign was aimed for creating awareness across all Construction Project site, Operation and maintenance sites, factory & Mumbai office involving employees, contractors & customers. Various Promotional display materials like multilingual Banners (approx. - 1500+ sqft) & Safety badges (1000+) were distributed and displayed across Belectric workplaces in India. Throughout the week our focus remained on our controls related to "High Risk Activities”, HSE directive & 12 elements and each workplace were aligned with day wise agenda for the campaign as follow. Day 3: Workplace-safety-slogan-scramble Competition was conducted where team work on Safety thinking was put to test and all come out as winners. Day 1: Various individual and group Team work was demonstrated during inauguration of the campaign by Communication of NSW agenda, Displaying of NSW Banners @Workplace & Badges to Employee, Inaugural Meeting, Safety Rally, Contractor HSE Performance Evaluation, safety Pledge ,commitment to HSE Policy & Safety flag hoisting at site. On subsequent days HSE training, Inspection was conducted on High risk activities like Lifting Operation, work at height electric safety, motor vehicle safety on subsequent days. Various Competitions was held for Belectric & Contractor Employees workers including Skit competition on safe work practice & Drawing Competitions on HSE topic was enjoyed participating workers and all came out as winners.